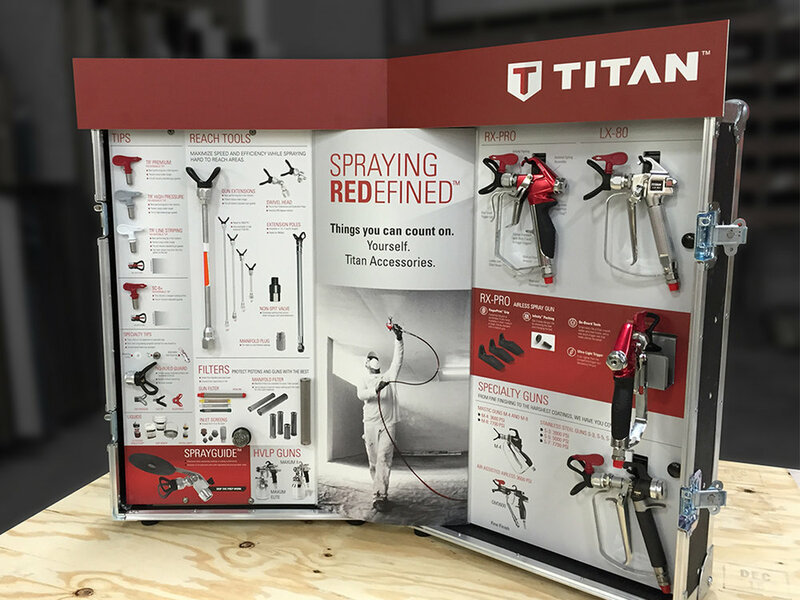 Titan Tools approached nParallel looking for a physical sales solution that their sales team could use outside of their office to better sell the company's product lines in a stronger and visual way. Titan wanted a solution that their sales representatives could take to events and on-the-road to sell with a unique and differentiated approach. The team at nParallel dug into the request and created a sales case on wheels that could be rolled into any event, be easily displayed on a table, and represented the entire line of products in a very cohesive and impactful way. NParallel was sure to create a solution that the sales teams could put into their vehicle and take with them wherever they need to go. Titan was impressed with the solution that nParallel created, and the sales case solution has been extremely well-received by their sales teams and vigorously used to sell the company's product lines. The initial 75 quantity order has turned into countless orders as each time there is a new product launch or update nParallel tweaks the sales case solution to include the latest version.